Steering, suspension and braking systems. Windscreen, and windows, including front windscreen wipers and washers. The structure of the vehicle itself. If an item fails to meet the standard, We will issue a rejection report. You will be given seven days to repair the item/s rejected and return the vehicle to us for a second inspection of the failed items. 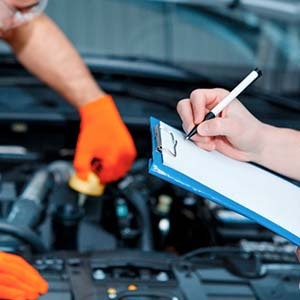 If more than seven days elapse a complete inspection must again be carried out on the vehicle.So, visit us to get your car inspected by the vic roads licensed vehicle tester. We strive hard to provide the certificate as soon as possible to grab the maximum customer satisfaction.